This week our students learned how to use the Jig Borer. They did a small exercise scribing and milling out holes on a brass plate. It is the most precise machine we have in the school, accurate to 3 microns! The students are almost finished with the tools. In a couple weeks they will start with actual watch parts, winding stems! We also had a visitor who brought a Ulysse Nardin Royal Blue. It is a watch with a movement made mostly out of sapphire. It is a beautiful watch with only 99 pieces made in the world. 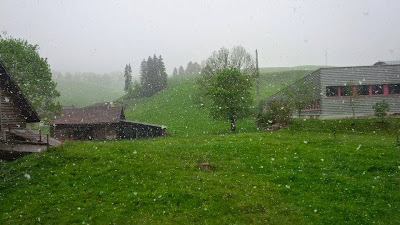 The second surprise today was that it snowed! In the last few weeks the students tried out the Aciera F1 manual mill for the first time, they will later use this machine to make tools and watch parts. 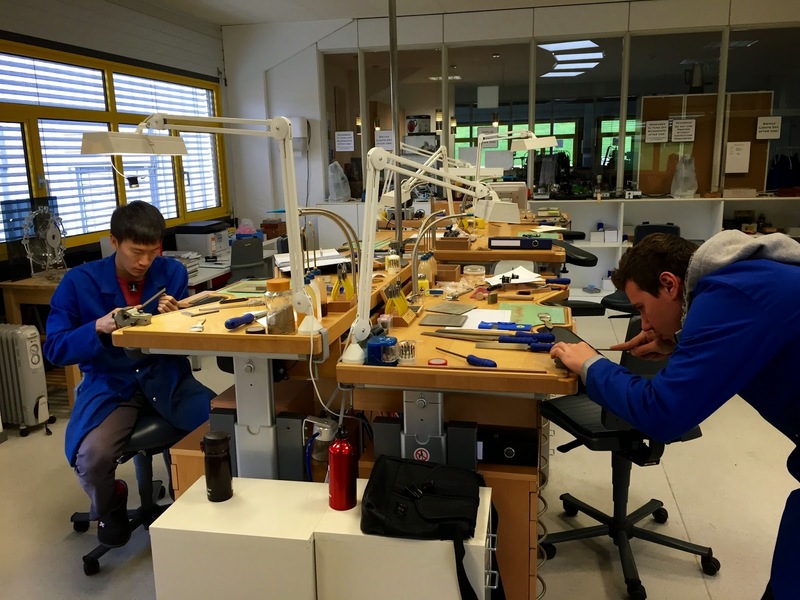 We also went on a visit to the museum in le Sentier, Valle de Joux Espace Horloger where they had a demonstration on forgotten watch restoration techniques, although it’s a bit early for the students to comprehend fully what was demonstrated they still got a good impression on how watchmakers restoring watches may work. The students will later in the course learn similar techniques. The local watchmaker demonstrating how to fit and vibrate a steel hairspring to an antique watch. New hairspring fitted to the collet and balance. Vibrating the hairspring to obtain the correct length. And finally the hairspring with balance fitted in the movement. Nice information boards in 3 languages.